Drills are more fun with a group of friends. Practice, practice, practice -- this is how you get better at tennis. One form of practice is doing drills, over and over, to work on your movement, singles or doubles strategies and skills. This may sound boring, but it doesn’t have to be. 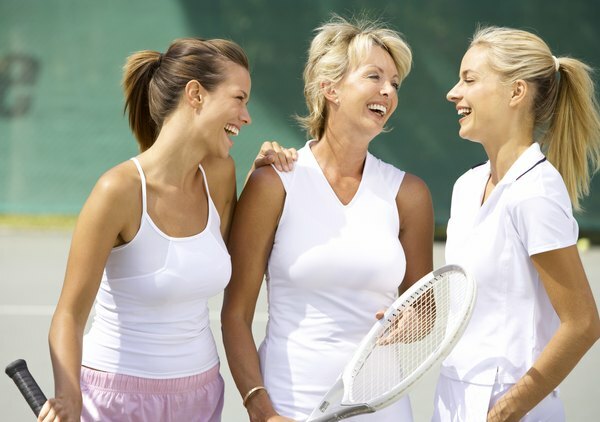 Drills can be a lot of fun, especially with several of your tennis girlfriends or teammates. Once you get everyone together, which can be the hardest part, simply get to the court and have some fun with drills that thrill. Warm up with a mini-court, alternating-hits drill. Divide your group in half -- Group A and Group B. Group A stands in a line just behind a service box. Group B stands in a line, across the net, opposite Group A and just behind the service box. Only these two services boxes are used for the drill. The first player in Group A line starts by bouncing a ball, hitting it to the first person in the Group B line and then immediately goes to the end of her line. The first person in the Group B line hits the ball back to the next player in the Group A line and then goes to the end of her line. Players alternate while hitting the ball back and forth and going to the end of their own line until someone makes an error or the ball has been hit outside a service box. When this happens, the group that didn't make the error wins a point. Play until one group has 10 points. The queen-of-the-court drill helps players improve their endurance and singles game. One player, the queen, stands at the baseline and everyone else, the challengers, stand in a line at the opposite baseline. The first challenger starts by bouncing a ball and hitting it to the queen. The queen and the challenger play the point out. If the queen wins the point, she remains the queen, the challenger goes to the end of her line and the next challenger immediately starts the next point. If the queen loses the point, the challenger has three seconds to run to the opposite baseline and take the queen's place -- the challenger is now the new queen. The next challenger starts the next point and so on. Continue for a set amount of time. The rush-and-crush drill helps doubles players learn to work together as a team and improve their net game. One team, Team A, stands on the baseline and the other players pair up into challenging teams and stand at the opposite baseline. 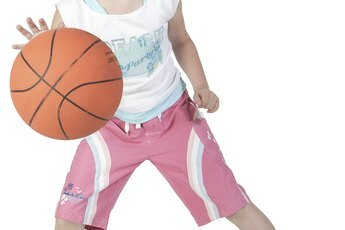 The first challenging team starts by bouncing and hitting a ball to Team A. The challenging team must immediately rush to the net once the ball has been put into play. The point is played out. If the challenging team wins, they earn a point. Team A returns to their baseline and the challenging team goes to the end of the challenger’s line. The next challenging team starts a ball, rushes to the net and plays out the point. Play continues with challenging teams trying to win points. When a team has won three points, they take the place of Team A. Continue for a set amount of time. 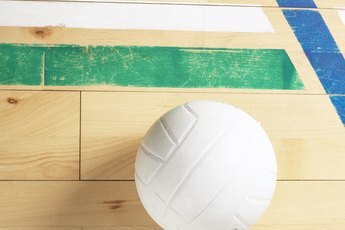 Four players can work on their volley skills with the figure-eight drill. Each player stands 1 foot inside a service box. One player starts by hitting a volley to the player standing diagonally across the net. This player then volleys the ball to the player standing directly in front of her, who then volleys the ball to the player diagonally across from her. To complete the figure-eight pattern, this player volleys the ball to the player directly in front of her -- the player who first started the drill. Set a number goal and try to complete that many figure-eights. Once you've met the goal, reverse the direction of the pattern. 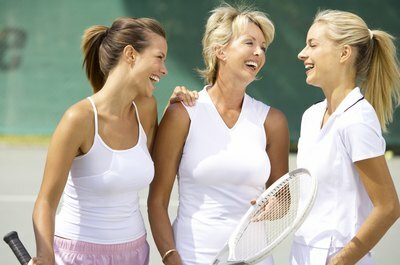 Online Tennis Instruction: Tennis Games to Help You Improve Your Game!